Even before I got the MAKERbuino I found this video by @albertgajsak: https://youtu.be/ITEkVHLZENg. 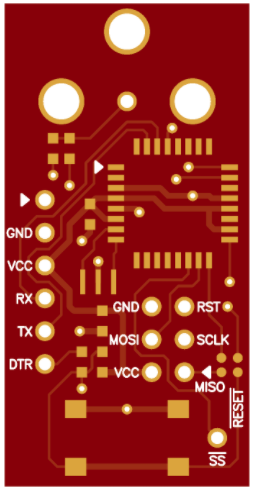 @albertgajsak Any plans to make and sell an adapter kit in the future? Where did you found the Code for the Arduino Uno? Basically every cable with a RCA connector should do the trick, right? As far as I can see, yes. In the middle is the video/sync line and the ring is grounded. Now I really want to make this but where did you find the schematics? Can you please send me the link, thank you! Great Tell us how your build is going when you try it out. I tried this myself, and it’s working almost perfectly for me except for one problem: the bottom of the picture is cut off on my TV. The output image is clear and stable, but the image is shifted down and to the right, the bottom 4-8 pixels are cut off, and I can’t find any setting on my TV that lets me adjust overscan. Also, the leftmost column has a single black pixel every 8 or so lines, and the picture goes crazy when I’m in the loader. I’m wondering if it’s a problem with the TV or the output signal. The TV is a relatively small flatscreen that was bought from a secondhand store. It might be because it’s an NTSC television, but I’ve heard that even cheap digital TVs are multi-region, and since the output picture is solid for most games I feel like that shouldn’t be the problem. I also tried using a black and white CRT TV, but that TV is having some serious issues that are unrelated. It does look like the entire picture is sent out, though, and occasionally (when the CRT’s vertical hold cooperates) it looks like the picture is correctly aligned on the CRT. Does anybody have some idea about what might be wrong, or is it just because I have a cheap TV? Have you restartet your Arduino a couple of times? There’s a synchronization bug I think. I would sometimes get a corrupted picture that would be fixed by resetting the arduino. I must have reset it dozens of times while testing, so I think it’s not a synchronization problem. I would sometimes get a corrupted picture that would be fixed by resetting the arduino. Then there’s another problem causing your error. How long is the cable between the MAKERbuino and the Arduino? And how long is the cable between the arduino and your TV? 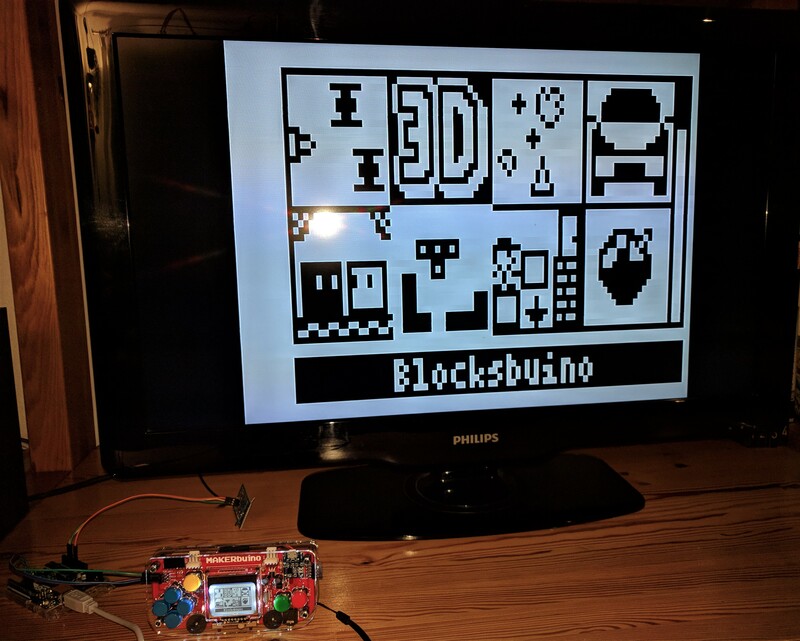 When I was testing my TV-Adapter I used the MAKERbuino Multiplayercable and some jumper wires to connect the MAKERbuino to the arduino which was in fact too long to transmit the signal properly. Changed to a much shorter cable did the trick for me. Hmm, most of the wires I used were very short. The longest component was the a/v cable, but even that wasn’t very long. It seems about the normal length for such a cable. I can post a picture of my setup soon in case there are any obvious mistakes I made. Unfortunately it doesn’t work with jonnection’s video player as he’s accessing the SD card during playback. And the SD card uses the same MOSI and SCLK pins as the TV out Arduino. Maybe I can modify the code so the Arduino only receives data when LCD_CE is active low. This looks awesome. I’m eager to hear how good it works! Which CAD software did you use for that? The design looks very neat and clean. Please, keep us updated on this, I’m very very interested! Congratulations, Altium is a pretty advance software. Sure thing, keep us updated. You’re doing some great progress! By the way, where did you learn to draw PCBs?